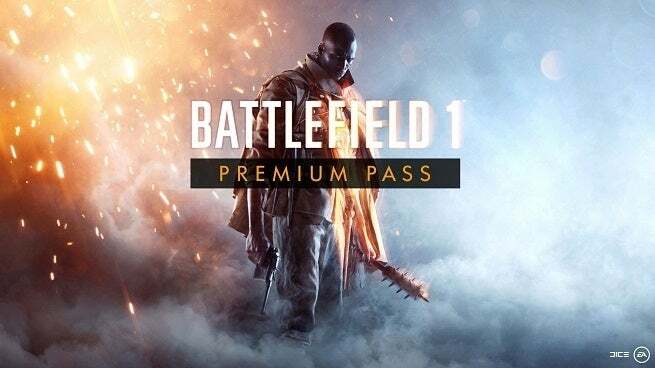 EA DICE announced that it’s giving away the Battlefield 1 Premium Pass for free during a limited-time giveaway taking place this month. Sharing the information in a new post titled “The Road Ahead for Battlefield: Premium Pass Giveaway, Open Beta, and More,” the announcements went over everything from the 2013 Battlefield 4 to the upcoming Battlefield V. Between those games is Battlefield 1, the return to World War I that included a Premium Pass with several DLCs, game modes, Operations, maps, and more included in it. That same pass will become free to own from September 11-18 for everyone who has a copy of Battlefield 1. The Premium Pass, for reference, currently costs $49.99 to purchase and gain access to the expansions called They Shall Not Pass, In the Name of the Tsar, Turning Tides, and Apocalypse. A total of 16 different multiplayer maps are included in the pass along with Elite classes, more weapons, and 14 Superior Battlepacks. EA DICE’s site for the Premium Pass breaks down what’s included in each one of the expansions that feature different World War I themes ranging from focuses on the French military to amphibious warfare. “Battlefield 1 Premium Pass is a great way for Battlefield 1 base game owners to play all the great post-launch content and whet your appetite as we enter mankind's greatest conflict in Battlefield V, come November,” EA DICE continued. While the promotion will only go on for one week this month, that still gives Battlefield 1 owners plenty of time to get the Premium Pass themselves and gain access to all the new content they might not have had before. Aside from just winning players over with free content, the giveaway will likely help keep Battlefield 1’s player numbers up for a while to counter the likely drop that the game will experience when Battlefield V is released. EA DICE’s post also went over some details for the Battlefield V open beta that’s starting soon. The open beta starts on September 6 and will run for the next five days with players able to experience the Grand Operations and Conquest modes, but those who preordered the game can start early on September 4.